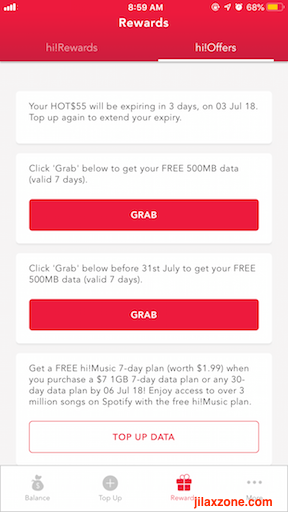 Good news for Singtel Prepaid users as you can now get 500MB to 1GB (depends on your luck) worth of FREE Data today just by downloading Singtel Prepaid Hi!App today. But why Singtel is so generous? 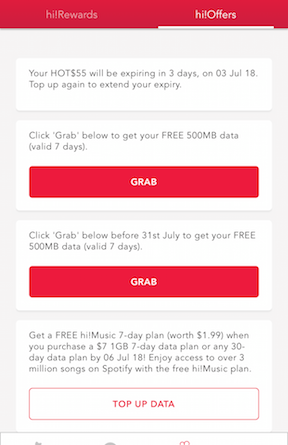 While these days 500MB to 1GB is considered small especially for those who like to watch streaming services like YouTube or Netflix while on-the-go, as part of Singtel promotion promoting its newly updated Prepaid Hi!App, it’s giving out FREE data to all of its prepaid users who download the app. So while the FREE quota is considered small but it’s better than nothing right? Download Singtel Prepaid Hi!App Today! 1) Install Singtel Prepaid Hi!App. 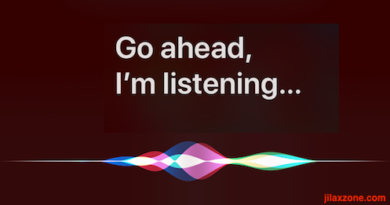 Link is above. 2) Once you installed the app. Open the app. Login to the app by providing your Singtel prepaid number. 4) When prompted to join, follow the instruction. If you don’t see the pops-up, go to “Rewards” tab. 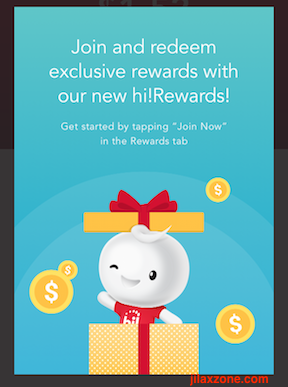 5) On “Rewards” tab, tap “Join Now”. 6) Go to “hi!Offers” tab and claim your FREE data today. Disclaimer: The offer is still valid when this article is written. 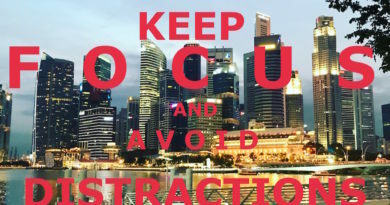 Singtel may change or end the promotion without notice. So do it while offer still last. Apart from the FREE data, there’s actually plenty of good things you can easily get or check using the app. 4) Get coins from every top-up, which can be exchanged to whatever Singtel is offering. Currently offering sunglasses and 300-min outgoing calls. So there’s no drawback installing Singtel Prepaid Hi!App for you. This is me. What about you? I got in total 1GB worth of FREE data, while my wife only got 500MB. Not sure why different person gets different bonus data. 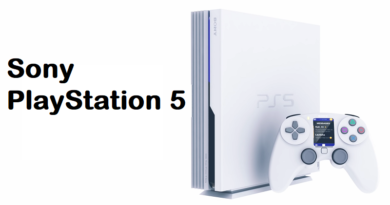 If you are Singtel prepaid users, DON’T WAIT! Download the app and get and see how many FREE data you are getting. Enjoy! ← Singapore $120 Monthly Adult Travel Pass. Is it worthy? I have sent email to you. How can I help you?